Video game and handheld accessories manufacturer NubyTech announced today the launch of its exciting new line of video game accessories for multi-media phenomenon Yu-Gi-Oh!(TM). These products will combine outstanding Yu-Gi-Oh! graphics with the latest technology in video game controllers. Yu-Gi-Oh!, from 4Kids Entertainment, Inc., is a leading animated series, video game franchise, trading card game and toy line. To enhance the Yu-Gi-Oh! gaming experience, NubyTech also will introduce removable console decals with Yu-Gi-Oh! graphics for the different gaming systems. Additional Yu-Gi-Oh! 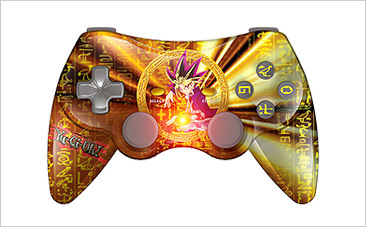 video game accessories, including the Yu-Gi-Oh! controller for Xbox(R) and specially designed Yu-Gi-Oh! carrying cases for Nintendo’s new Dual Screen (DS) and Sony’s PlayStation Portable (PSP) handheld video game systems, are scheduled to be released later this year. For more information, contact Birute Tursa at 310-302-9118, [email protected] or visit us at http://www.nubytech.com or http://www.hotgamestuff.com.